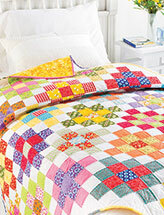 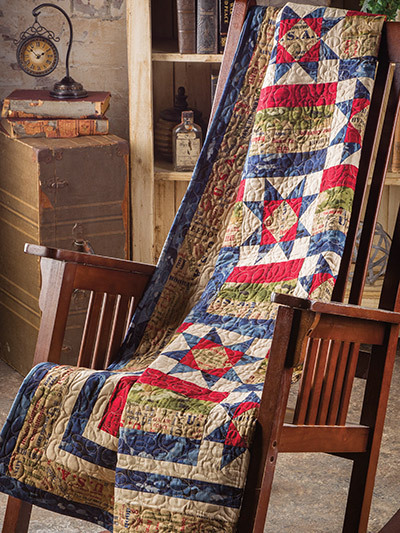 A perfect project for a quilt of valor! 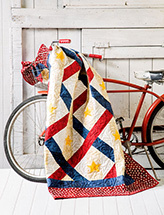 Your fabric choices can make this quick and easy pattern perfect for dads, veterans or anyone you need to make a quilt for in a hurry. 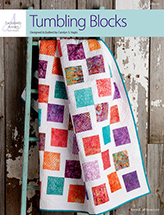 This e-pattern was originally published in the summer 2015 issue of Quilter's World magazine. 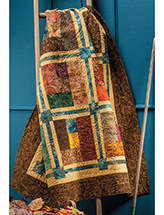 Finished size is 54" x 62".